The infographic visualizes data on opt-out requests the company has processed from around the world with a focus on technology. August 1, Austin, TX — OPTIZMO Technologies, the industry leader in email suppression list management, has released the second in its Email Opt-Out Infographic series, visualizing opt-out behavior from a sample data set of unsubscribe requests processed from around the world over a 14-month period. Email marketing is celebrating its unofficial 40th birthday this year. As email marketing is entering middle age, it continues to deliver arguably the strongest return on investment (ROI) of any marketing channel. Companies around the world continue to invest in email both for customer acquisition and retention. Industry estimates put the number of global email users at almost 3 billion by the beginning of 2020. Despite some pundits over the years proclaiming the impending death of email, usage of the channel is stronger than ever. One of the most important aspects of email marketing is the near universal requirement that each message includes a mechanism for recipients to opt-out of future mailings. Marketers must then honor these requests in their future email campaigns (the time to act upon an opt-out request varies by country). With the massive number of marketing emails sent each day, the volume of opt-out requests is substantial. OPTIZMO provides email opt-out collection and processing for hundreds of companies around the world, which gives the company insights into trends in opt-out activity. 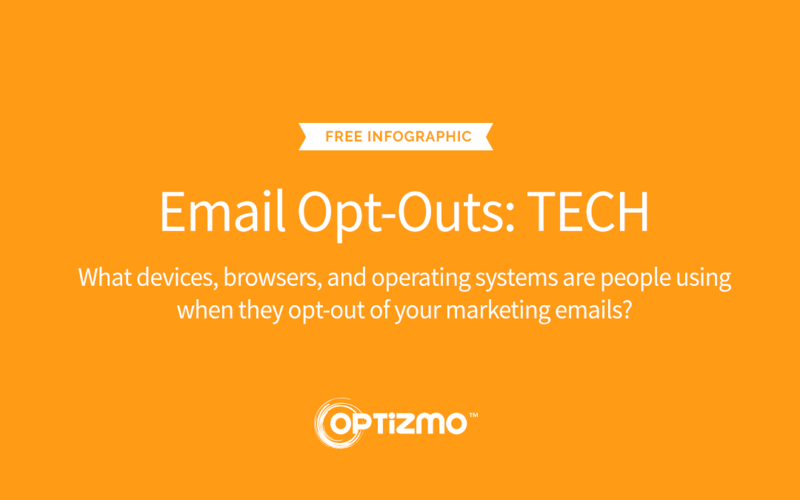 The new infographic from OPTIZMO looks at some of the technology trends within the email opt-out ecosystem, including the breakdown of requests from mobile vs. desktop devices, browsers used for the opt-out requests, the operating systems used by those devices, and the trends in email domains. This is the second in a series of infographics on opt-out data that OPTIZMO will be publishing in 2018. The third infographic will focus on data around trends in the the days and times opt-outs are received.